“Once Upon a Time in Knoxville” is a new documentary about Rollo, a man who erected a small town of buildings using recycled windows, doors, beams and shingles from forklift pallets and old house trailers. He’s created his own building style dubbed “Appalachian Gothic,” from which he was inspired to create a low-tech, low-consumption community. Click here to check out a preview of this curious film. “Once Upon a Time in Knoxville” is a new documentary about Rollo, a man who erected a small town of buildings using recycled windows, doors, beams and shingles from forklift pallets and old house trailers. 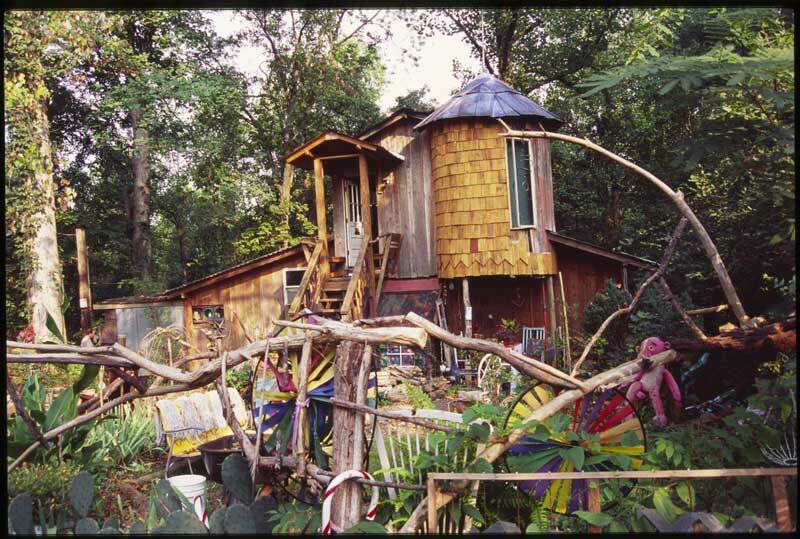 He’s created his own building style dubbed "Appalachian Gothic," from which he was inspired to create a low-tech, low-consumption community. Click here to check out a preview of this curious film.